FurReal Friends Deals in Canada! Kami, My Poopin' Kitty pet loves her treats. Make her happy by feeding her her favorite kitty treats, one at a time. Of course, after treat time, it's usually poop time! Sweet little Kami, My Poopin' Kitty pet is huggable, loveable, and makes fun kitty noises. And when she's enjoying her treat, she makes happy feeding sounds. The So Shy Bunny pet is a friend to love and care for. Meet Pax, My Poopin' Pup toy! Meet Kami, My Poopin' Kitty toy! It's so much fun to take care of her like a real kitty. Meet Pax, My Poopin' Pup toy! It's so much fun to take care of him like a real puppy. 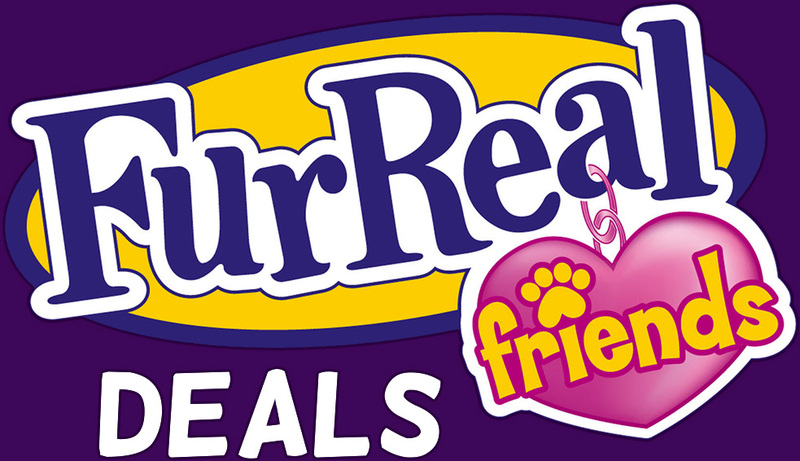 Welcome to the furReal brand's family of pets - engaging and often surprising friends that can become a child's favorite companion. This sweet, soft JJ, My Jumpin' Pug plush pet is so excited to play with you! The loveable Bootsie pet is a furry little feline with a big personality! Chatty Charlie, the Barkin' Beagle pet is one fun dog. This cuddly pup's collar translates barks to phrases so you can understand him. The Roarin' Tyler, the Playful Tiger pet is ready to play. And his favorite way to play is to ROAR! Make noise and he roars back.